Canada's NAFTA negotiators are on a fact-finding mission this week in Washington, seeking places where compromises might be found in the new year when the talks enter a critical, potentially do-or-die phase. "We're prepared to have conversations to better understand their priorities," the Canadian official told the Canadian Press, speaking on condition of anonymity given the sensitivity of the talks. "Perhaps there are other solutions.... We are always prepared to think creatively." Several of the toughest issues have seen early impasses: they include auto parts, agriculture, and dispute-resolution mechanisms. 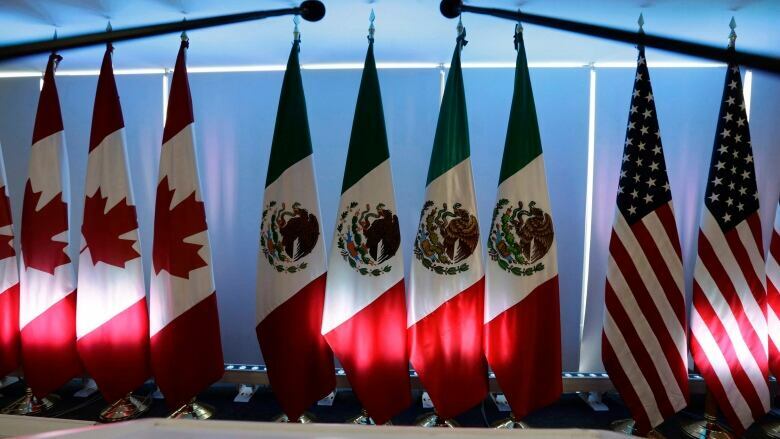 Canada and Mexico have described some U.S. proposals as non-starters, and have frustrated some U.S. officials by refusing to make counter-offers so far. One trade-watcher warns the clock is ticking. "I think this (week in Washington) is a clean-up-the-text round. Clean up the text, and really tee up the issues for 2018. (But) my biggest fear is we're going to run out of clock in 2018," he said in an interview. "If I was Canada and Mexico I wouldn't give him an excuse to issue a notice to withdraw... You've got to counter-propose on some of these issues. And come up with creative solutions. Doing nothing is not an option here." Bruce Heyman tweeted over the weekend: "When our trade negotiations devolve into a public he said/he said situation or a disagreement over a deficit or surplus that amounts to less than three per cent of total trade we are at an ominous point."